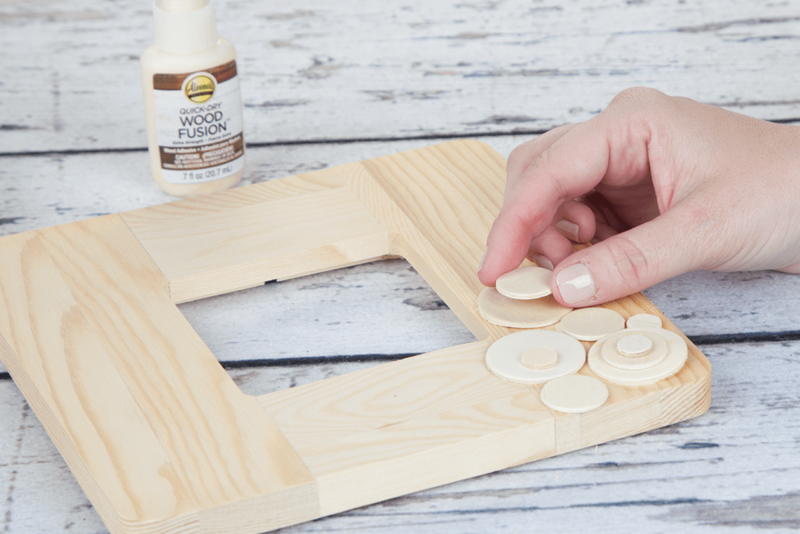 Take a plain frame to a whole new dimension with wood discs and Aleene's Wood Fusion adhesive. 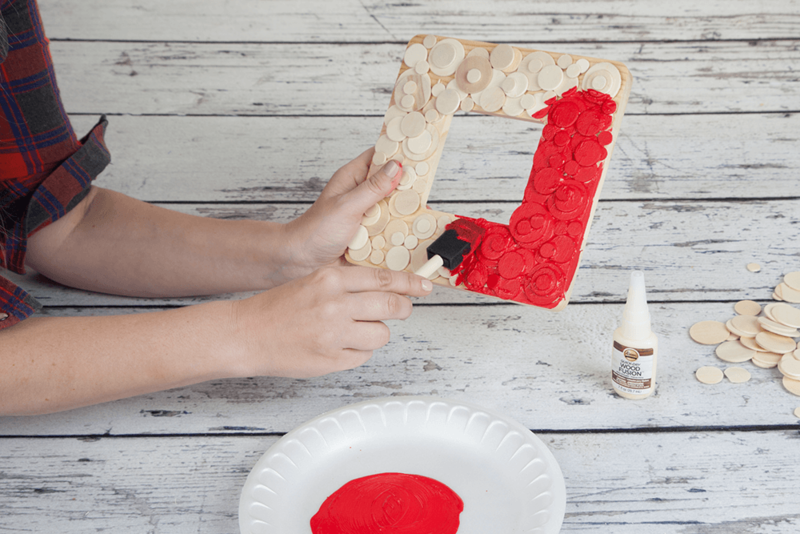 Apply a pop of colorful paint and you'll have a pretty display you can DIY in minutes for your favorite spot! Add a dot of Wood Fusion to the back of each wood dot. Press in place, layering the dots as you go. Do as many as you want and fill the entire frame or just do a few arrangements on the corners. Once dry, apply paint to your finished design. 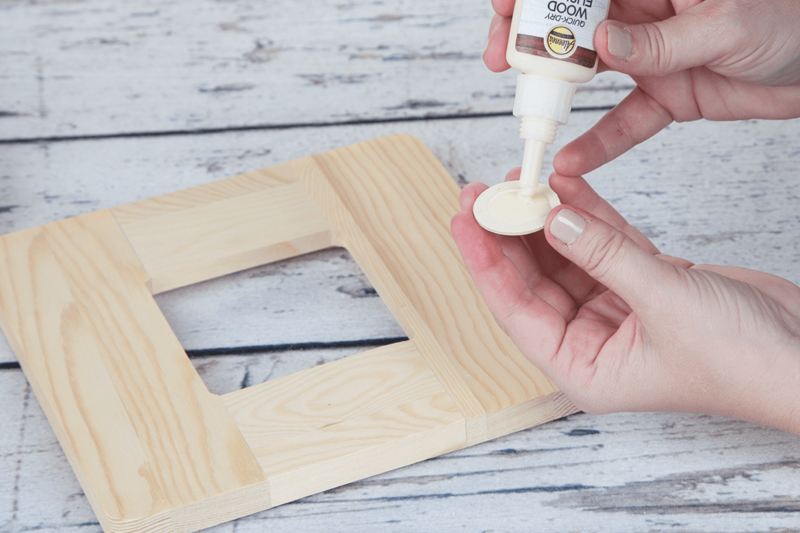 Apply first coat and let dry, then go back and add a second coat and make any touch-ups! 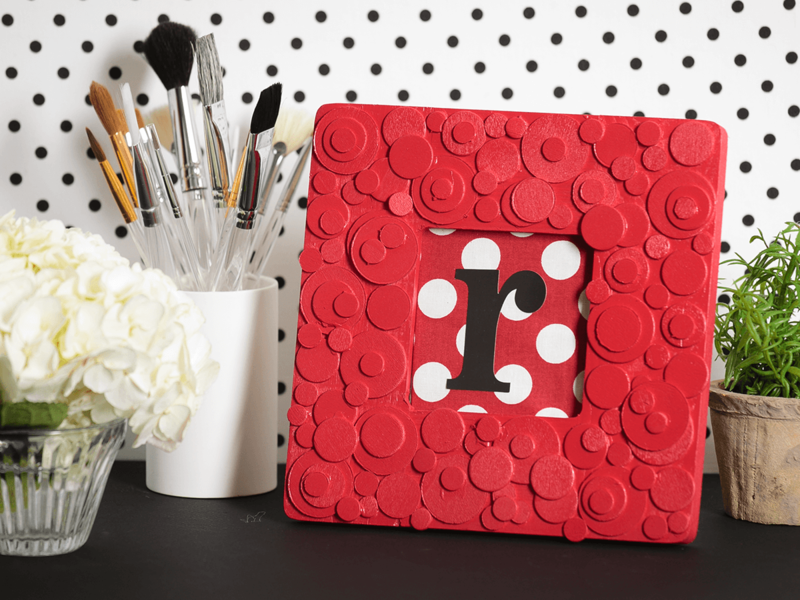 We put a piece of scrapbook paper in our frame and added a letter sticker for a personalized look. Also fill with your fave photo, drawing or artwork.